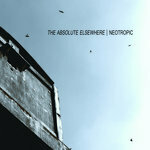 The new Neotropic album, "The Absolute Elsewhere" is finally coming out this year! (release date July 20th [thanks Ross]) Definitely keeping with the modern classical feel of her radio show and recent musical output. Last edited by OffLand on Sun Jul 08, 2018 1:07 pm, edited 1 time in total. July 20th according to the label. Interesting that this was due as an LP on Pink Lizard early last year, but that seems to have fallen through - Slow Craft seem to only release CDs too. Loved 'Your War' since it turned up on her SoundCloud a few years ago, very excited about this album. Oh right! Pink Lizard did the re-issue of White Rabbits too. That is really odd that they dropped the new album. I'm not sure if I had heard Your War before but it's really really good. That remix is really good to. Very excited for the album. I couldn't get into Equestrienne for some reason so it's been a while (Prestatyn) since I've had some new Neotropic. The new album is available to pre-order. 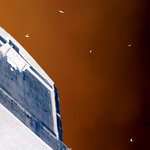 Two tracks are currently streaming there's a very haunting sound on this album. Great stuff..
Not feeling this. At all. Pretty much everything she's done since White Rabbits is kinda meh. Shame. Because I really LOVED this album - hearing it twice today for the first time. It's really well balanced and nicely produced. I love how the vocals are used too. I understand it can be viewed as too slow, borderline boring, if you're not in the right mood, it's probably one of those albums that require a certain preset mood, but otherwise, really liking this. I think this might be my favourite album of hers since Mr Brubaker's Strawberry Alarm Clock. Stunning and haunting album. Like a cinematic expansion on Prestatyn, which is probably my favourite work of hers. Got the CD today, giving it another spin, this gets better with more plays. Incredible stuff. I guess I'm missing the summery vibes, complexity and the beats/wonky samples from the LPF era, this is just super melancholic and minimalistic throughout. Sounds a bit like she had some type of a drug problem. Sorry. tryptych wrote: Sounds a bit like she had some type of a drug problem. The direction of the music and the fact the fact that she's super thin sure makes me think so (because I've seen similar stuff with people I know in the past). I hope that I'm wrong and maybe was a bit out of line there, soz. Still not feeling the album 'tho, unfortunately. It's an anti-war album, largely, which explains the tone. She seems pretty healthy these days - her main hobby is running, she takes parts in marathons and stuff - and she also spends a lot of time working on her allotment, so I don't think drugs are particularly an issue. From what I can know, she seems very happy and healthy.